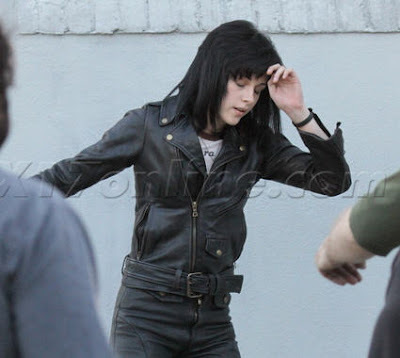 Kristen Stewart has completed her Joan Jett look (Leather and all) and has started filming the biopic The Runaways. 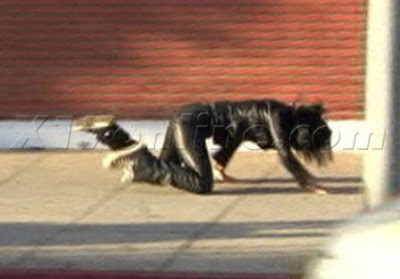 On set she takes a major tumble.....don't worry it was apart of the script, as reported by X17Online. 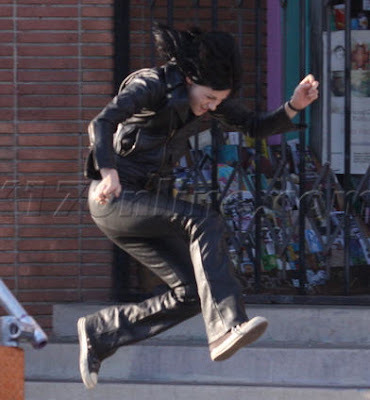 it must be hard to run in head to toe leather. not to mention, sweaty. leather doesn't breathe. oh joan, such a badass. She just looks freaking awesome!!! I don't know that they could have picked a more perfect person to have played the part! 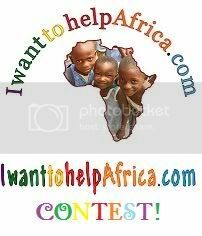 I have to agree with you on that!! She looks effing awesome!